L’Eau d’Hiver is one of my oldest perfume favorites, beloved and cherished over the years, and trusted whenever I need something to wear that is comfortable, light but still recognizably different. Why have I waited this long to review it? 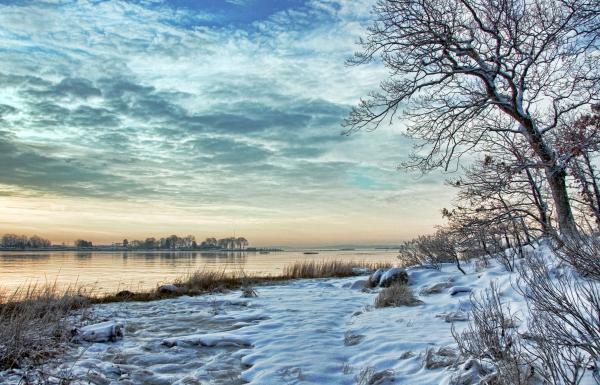 L’Eau d’Hiver is a familiar favorite, but for a long time it had no story. In my mind I link every perfume I smell with some descriptor that helps me to place it, like dark vanilla, or woody incense. It can also be more of an insider description that has only significance for me, like funny blackmail (don’t ask!). But curiously L’Eau d’Hiver has eluded its descriptor from the beginning. Normally I don’t have to think much about it, it suggests itself pretty instantly, but not with this perfume. That is the reason it was very hard for me to write about it. I just didn’t know where to start, was struggling to find an angle. 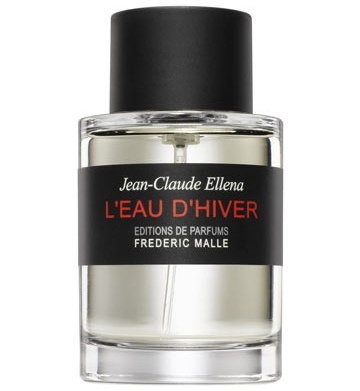 L’Eau d’Hiver was composed by one of my favorite noses Jean-Claude Ellena for Editions de Parfums Frédéric Malle in 2003, notes include bergamot, angelica, iris, hawthorn, jasmine, honey, carnation, heliotrope, caramel and musk. The perfumer calls it an Eau Chaude (“warm water”, to emphasize the opposite to the Eau Fraiche). It is a very elegant, understated and muted perfume, one that never screams at you, but isn’t easily silenced either, it keeps close to the skin but is persistent and has a wear time of about five to six hours on my skin. I racked my brain to describe what it smells like: it is so well blended nothing stands out, there is no one clear note I can make out, it smells round and smooth like a snowball. It is not cold, but not hot either, it has warmth, but not overwhelmingly so, it is flowery and sweet and fresh, everything in moderation and everything perfectly balanced. You see my dilemma? But one phrase sticks: like a snowball. That could be my inner descriptor. Cool, smooth, round, white. But with the sun shining on it, starting it to melt just a little, warming it and immersing it in golden light. Not a perfect description, but as close as I can get. This post was first published in December of 2010 (to a rather smaller audience). I am wearing L’Eau d’Hiver a lot this spring, so I wanted to post this review again – its essence still holds true for me: it smells just lovely. Picture sources: lenoma.ru, fineartamerica.com, Snow White and Poison Apple by Cyril Helnwein via riverhunt.org some rights reserved, thank you! This entry was posted in Fragrance Reviews, Frederic Malle and tagged Fragrance, Frederic Malle, Jean-Claude Ellena, Perfume, Review. Bookmark the permalink. I always thought it smelled like the weather just before a big snowstorm. Crisp and clean and slightly electric and oddly warm with the promise of a really good freeze coming in. That is a beautiful and very accurate description! Despite both our wintery associations, this perfume works year-round for me though. Oh me too- it’s a joy in the heat of summer. In winter you get the heat and in summer you get the freeze. One of my favorites. I’m happy you like it too, despite the almonds and the heliotrope that you are not a fan of, if I remember correctly. I’m sure L’Eau d’Hiver is appropriate for any situation. The almonds and heliotrope are compacted deep in the heart of the snowball. ;-). I did wear it and it was perfectly appropriate! Ahhhhh. One of my all-time favorites! Exactly. Simple and lovely says it all. Wonderful review! I’ve always given this one a miss because the Malle range has so many standouts and I was never a JCE fan. However, you have convinced me to give this a try! Great! I’m glad I could convince you, I hope you like it! Let me know! I’ve had one of those ‘its complicated’ relationships with this one, your know the sort of thing: Love it, bought a bottle, then wasn’t so sure, then fell in love again and almost drained the bottle.. now not so sure… Something about the combination of the ‘electric’ (to me almost chemical) cloud feeling combined with the almondy notes is hauntingly beautiful, but ultimately not really me (definitely not a snow white type!). Anyway, its a great idea to re-post reviews. I only joined these boards a few weeks ago, and keep coming across fascinating discussions on perfumes…but its maybe 2 years too late to join in! So take pity on us newbies and revisit older topics from time to time. My almond-phobia has kept me away from this up to now but that must change thanks to your review. Also the fact that Vanessa is rather adverse to heliotrope but it’s going to be her Sotd. I know what you mean about needing a story to connect with. I’m wearing Seville a l’aube today and it’s wonderful but I associate it so much with Denyse’s story that I’m having trouble finding myself in it. I know what you mean, ultimately I didn’t buy Seville because of the association with Denyse’s story that I never get out of my mind again and that’ll never be mine. I am not like Snow White but after this review I very much want to try it! Sounds like a perfect Winter Solstice fragrance! It is perfect year round, despite the wintery images it conjures, in the heat it is equally lovely. Hope you enjoy it, Brie! Great review! I love the indescribable! I have been meaning to try this – now I’m even more curious! I have felt that way about one perfume – to me, indescribable, warm and cool, sweet but not. Biehl Parfumkunswerk gs01. It’s distinct but soft, and wears close to my skin. I had it on my fb list, drained a few samples. But I have never bought it and I don’t know why. You know, those two have definitely something in common, so I guess you’d rather enjoy L’Eau d’Hiver. Finally tried this! It is snowy – powdery, fluffy, so-cold-it’s-dry snowflakes. Fluffy powdery snow at dusk, with a golden sunset. It’s that golden sunset glimmering through the icicles hanging off my roof. It’s powdery fluff insulates me inside my fluffy down coat. It’s perfect for today, everything us closed because if a winter cold snap – we’re at -56F. Splendid images and words for a perfume that is almost indescribably beautiful… like the whisper of an almost imperceptible winter breeze. Thank you, dear Dandy! It’s an unusual perfume that seems to hold many in thrall. I feel a little bit ashamed: not only I neglected to try this perfume for years (!) even though I was at a store carrying the brand on at least 4-5 occasions but even after I got a sample a month ago I didn’t find time to do it yet. Such a beautiful review, Birgit! I have to try L’Eau d’Hiver. You do!!!! I hope you won’t be disappointed! Please let me know your thoughts! So glad you like this too! It is truly lovely and I balefully stare at my empty bottle, pining for a new one.